Sporangium has been derived from modern Latin word “spora” means spores and classical Greek word “angeion” which means vessel. So, sac like structure, which develops spores as tetrad after meiosis of spore mother cell. Spore: Reproductive unit of a plant body which upon germination to form a new plant body. Present at apex of Branchlet also known as fertile telome. Trilocular, spherical / oval in shape. Group of sporangium in spherical form present at either adaxial or abaxial surface of megasporophylls. Ellipsoidal fruiting body containing with sporangia, present at the base of petiole of megaphyll. Sporophylls into compact cone like structure at terminal position of main stem. Aggregation of sporangiophore into compact cone like structure at terminal position of main stem. 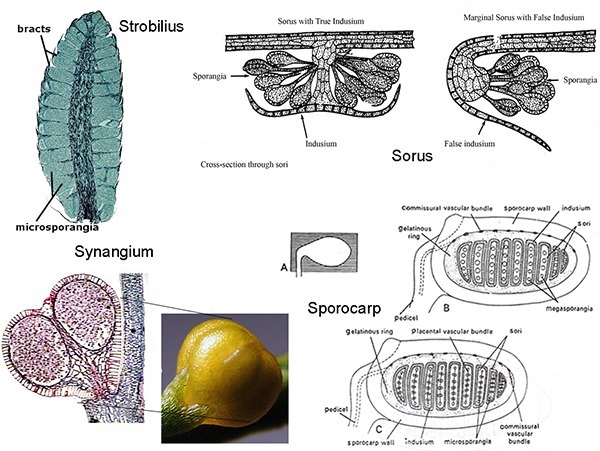 Trilocular /three dimensional with oval or spherical shape structure, containing one sporangium in one locus, present at terminal position in each one locus, present at terminal position of branchlet od dichotomous sporophytic plant body. With respect to development Eusporangiate. With respect to development is Eusporangiate. With respect to development is leptosporangiate. Large in size as compared to stem. Sporangium with same size of spores, present at axial of leaf. Sporangium with same size of spores as sorus, present at either Adaxial or Abaxial surface of leaf. 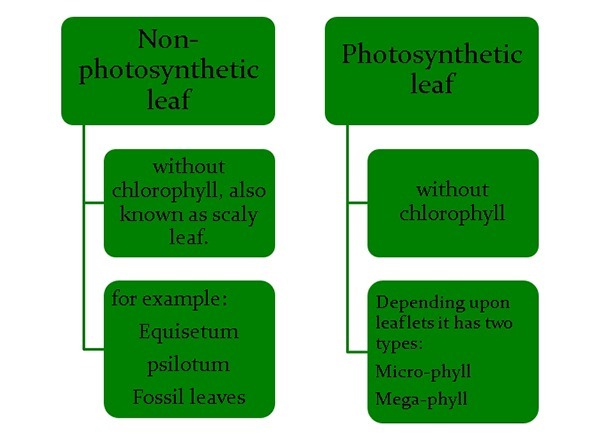 It is absent in pteridophytes. Sporangium with different size of spores present in axial of leaf. Present as cone at terminal position of stem. Majority of pteridophytes show homosporus condition. All bryophytes show homosporus condition. 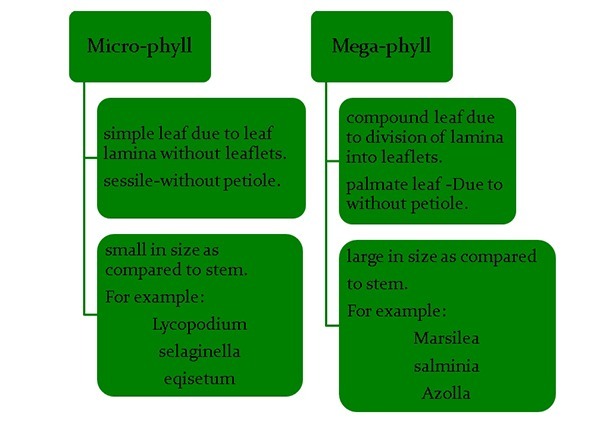 The condition, in which sporophylls contains same size of sporangia is called as Homospory. 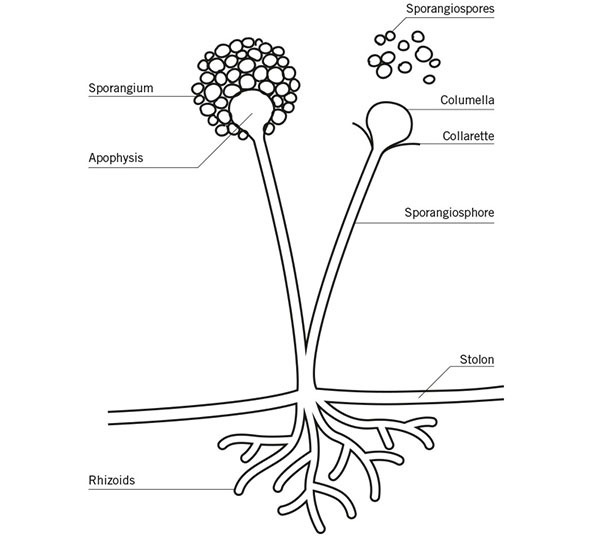 The condition in which sporophylls contains different types of sporangia is called as Heterospory. The condition in which there is presence of sporangia in axial of leaf and stem is known as Stachiospory /Stachiosporous condition. E.g. Selaginella, lycopodium.